¡Gana hasta US$ 1,13 con Kinguin Mafia! ¡Aprende más! 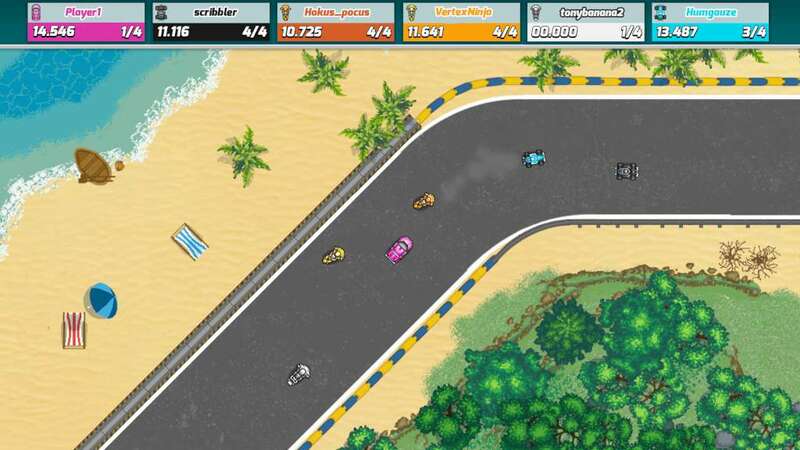 Race Online is the ultimate top down racing game with a strong retro feeling and super smooth gameplay. It is a fresh and evolved racing experience that seamlessly combines all the best parts from the good old racing games to the new. Single player includes three different game modes. Single races are quick and fun to play at any time, but the real bread and butter of the single player mode are the lengthy careers that are unique for each vehicle in the game. 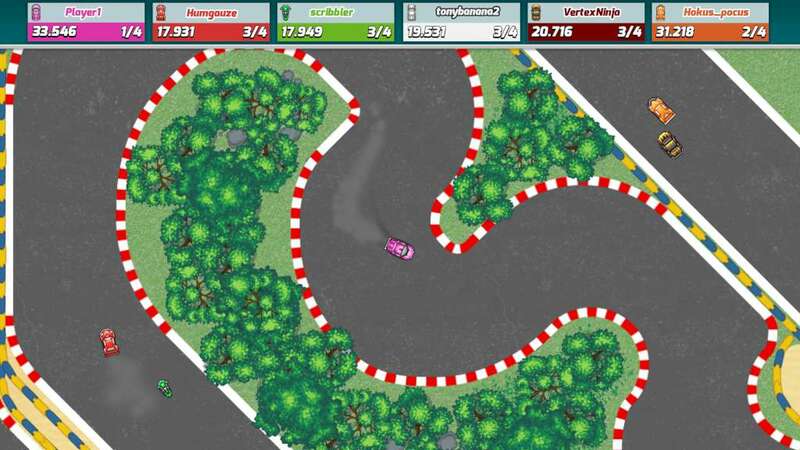 On the other hand, the time trial mode is great for fine tuning driving lines towards the perfection, but also helps to achieve new lap records and to learn tricks and traits of each car in the game. 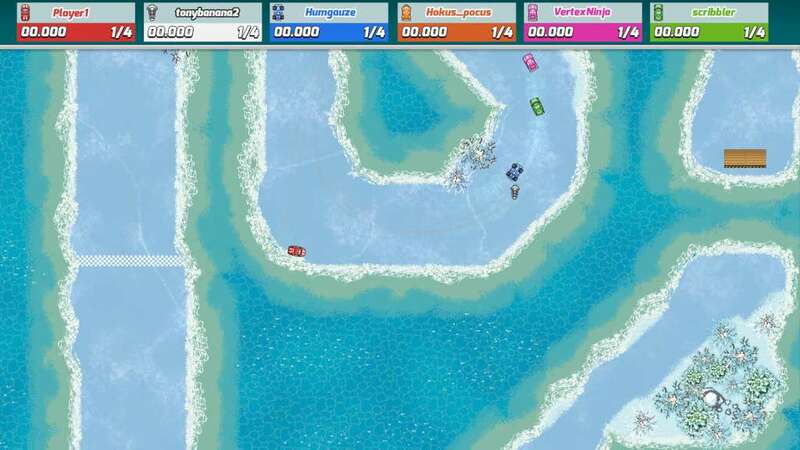 Multiplayer can be played both online and locally up to six players. 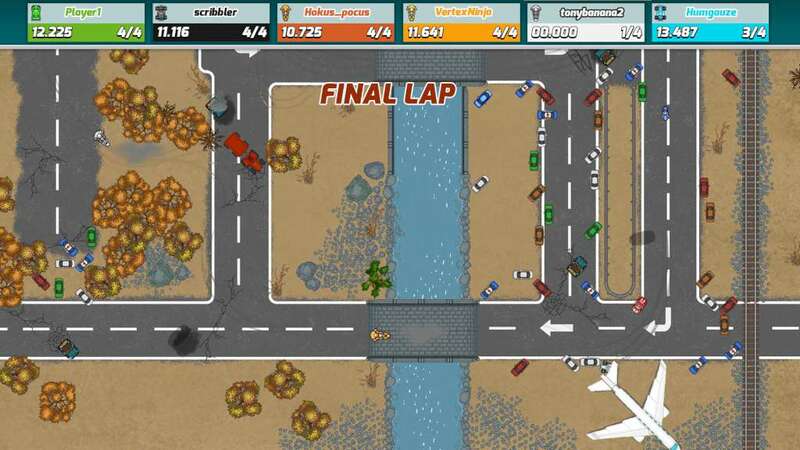 In the online multiplayer compete against players around the world in the fast paced tracks. 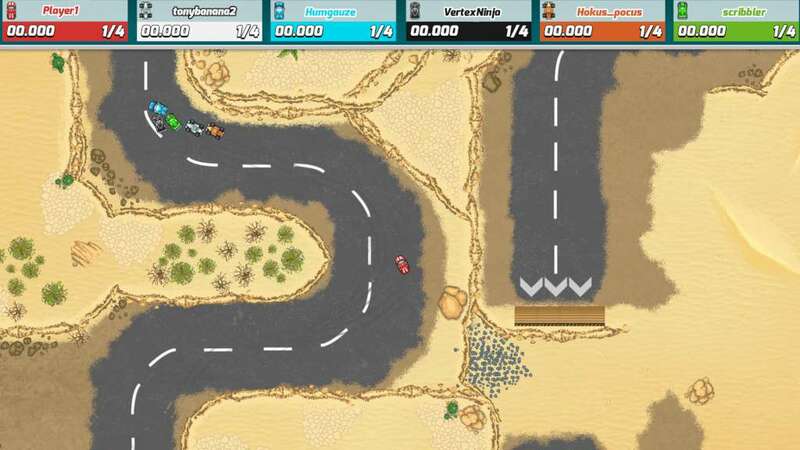 Race Online is also a perfect game to play locally from one screen. 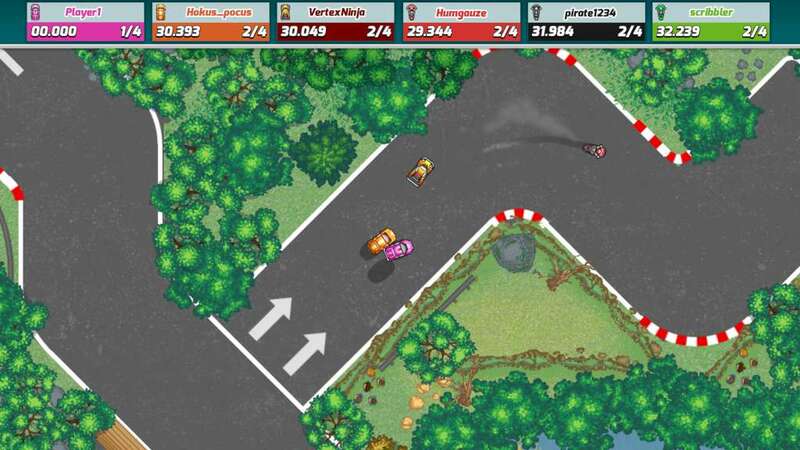 Sit on a couch with your friends with gamepads, or gather around one keyboard to experience the retro racing as it was played back in the 90’s. Track editor is easy to use and it includes all the same tools used by the developers. Creating custom tracks and sharing them with the community via Steam Workshop is fully integrated into the game. Initially there are 100 tracks in the game, but with the editor and community created content there are literally limitless amount of tracks to play. The car selection includes different upgradeable vehicles from a serious sports car to a genuine UFO. Various color options expand the vehicle selection to 60 diverse options where to choose from. Extremely balanced gameplay keeps all vehicles competitive against each other. Learning the benefits of each vehicle is part of the fun that keeps the race interesting. A polished gameplay is the key to every awesome game. A great amount of effort has been put into game controls. This way Race Online reaches the same quality of gameplay as it is in the best archetypes of this genre. Controls in Race Online are a result of careful consideration, thousands of testing hours and decades worth of experience from video games.